Lovelies! 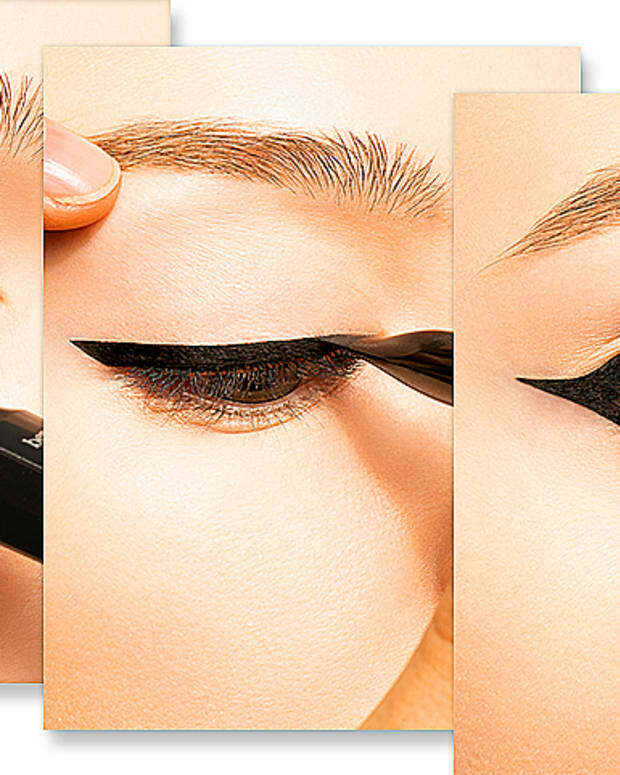 Remember that Benefit They&apos;re Real Push Up Liner gel pen we told you about here? Quick, go read it if you missed it, cuz Beautygeeks and Benefit Cosmetics want 50 Beautygeeks readers to participate in a Benefit They&apos;re Real Push Up Liner reviews program before it hits stores! Interested? Here&apos;s how to qualify! benefit they&apos;re real push up liner reviews -- by you! Okay, quick recap: The Benefit They&apos;re Real Push Up Liner ($29, available at the end of June) is a next-level gel eye liner. No more pot of gel + brush, no more rush to get the cap on the jar so it doesn&apos;t dry out while you apply your liner. Just a slick click pen that dispenses a precise amount of matte black gel through a unique flexible tip designed to hug your lashline as it glides along doing its lining thing. Intriguing, right? Here, watch this short video featuring makeup artist Jeannia Robinette as she explains the liner and demonstrates an everyday application. Now I&apos;m thrilled to offer 50 Beautygeeks readers an opportunity to participate in a Benefit They&apos;re Real Push Up Liner reviews program! Wheee! To qualify for this Beautygeeks Benefit They&apos;re Real Push Up Liner reviews program, you must live in Canada, you must be a subscriber (sign up here if you aren&apos;t), and you must answer a couple of quick questions. Please. We&apos;ll choose 50 from the qualifying entries and notify you by email for your shipping information. Once you receive your preview sample, you&apos;ll have two weeks to play. (Find inspiration and tutorials here and via the Benefit YouTube channel.) At that point, a new post will go up on Beautygeeks announcing your feedback, and you&apos;ll be able to post your Benefit They&apos;re Real Push Up Liner reviews in the comments. You&apos;ll also be able to Instagram your photos; tag them with @JanineFalcon and @BenefitCanada, and use the hashtag #RealLinerLooksCAN to share them automatically on this microsite, RealLinerLooks. Here&apos;s the wee questionnaire; we&apos;ll accept entries until midnight on Monday June 9th!